This is a true southern delicacy. Brie is stuffed with bourbon-brown-sugar-soaked pecans, wrapped in puff pastry, and baked to golden perfection. I like to bring this as an appetizer when we are invited for dinner or a celebration – I always get requests for the recipe afterwards! In a small tupperware container, combine chopped pecans, bourbon, and brown sugar until well blended. Cover the container and allow nuts to marinate in the fridge overnight. Preheat the oven to 400 degrees. 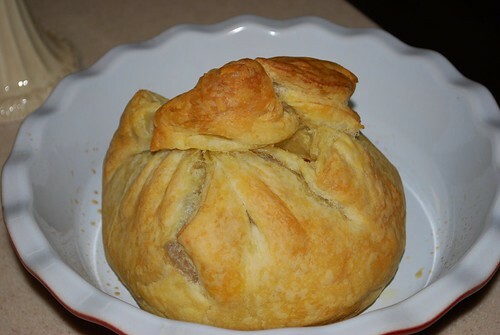 Remove puff pastry from freezer and allow to thaw. 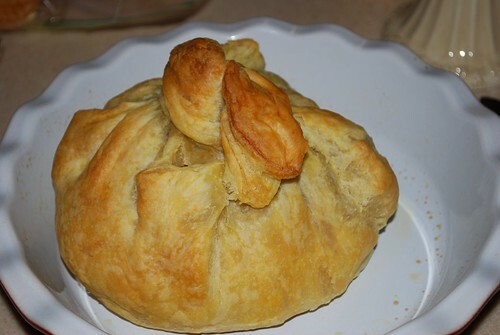 Grease a pie dish and place the sheet of puff pastry on top. Slice brie horizontally. 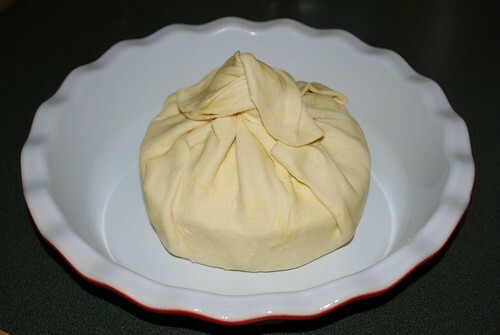 Place bottom half of brie in the middle of the puff pastry. Top with pecan mixture. Place top half of brie over the pecans. 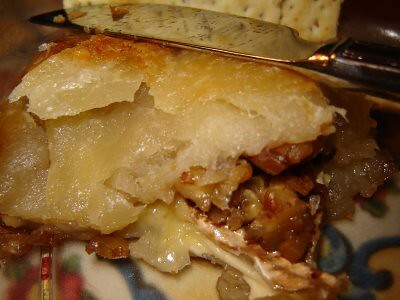 Fold corners of puff pastry over the top of the brie, gathering them together at the top in a decorative fashion.